If you don’t have HP SmartStream Designer or a database or spreadsheet file then please contact us as there might be an other way to create your personalized PDF files. This is the file that will contain the details per job. It can be .csv or .excel or it can be a database. In this example, we use a CSV file. 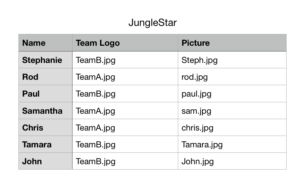 We need the name, the logo and the picture to be different per PDF file, and we have all of the info we need in the following columns and rows. 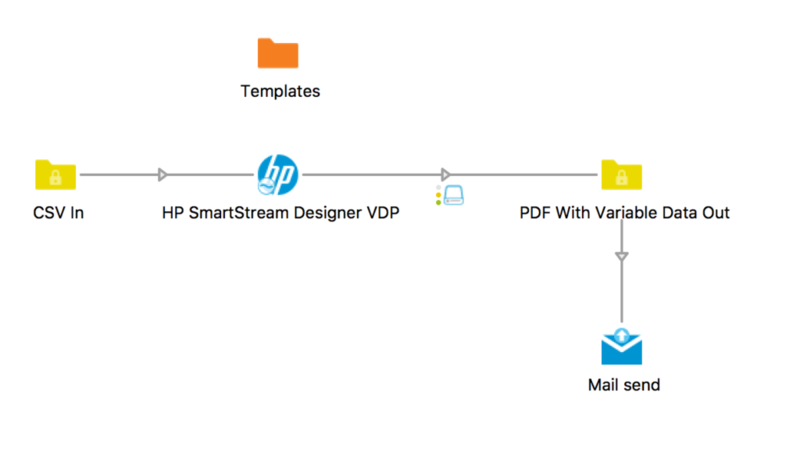 With HP SmartStream Designer Suite Software, you can create design templates and enjoy the power of variable data printing. Please find full information here. Make sure that all your Adobe InDesign packages are located in this folder. It is also important that the name of the InDesign file and package folder matches the name of the CSV file. This is a simple example: a CSV file is the input and the person responsible receives an email as soon as the PDF is ready. Setting the Output Format and setting the Template folder, this is the folder that contains your InDesign packages. One you’ve set those Properties, place the InDesign template packages in the correct folder and drop your CSV files into the input folder. Then sit back and enjoy instant, automated VDP through the power of Enfocus Switch and HP SmartStream Designer! Saving time! There’s no longer any need for you to open InDesign manually and work through the HP SmartStream Designer options in the menus. While the PDF files are being created, you have time to focus on the next task on your list! Please contact us today if you are interested in seeing a demo of this workflow or if you would like to see other functionality from Enfocus Switch.